Check out some footage from Andrew Bergen, shot at the 2017 World YoYo Contest in Iceland. Players always spend a fair bit of time just milling around outside of whatever venue a contest is in, so Recess took the opportunity to film Bergy just hanging out and throwing tricks because let's face it...most players are at their best when they are just knocking off tricks for fun. Bergy made a hell of a showing on stage at this year's contest, but it's always great to see him just kicking back and working out ideas. Yoyo used is the Recess Joyride. Check out some footage from Andrew Bergen, shot at the 2017 World YoYo Contest in Iceland. Players always spend a fair bit of time just milling around outside of whatever venue a contest is in, so Recess took the opportunity to film Bergy just hanging out and throwing tricks because let’s face it…most players are at their best when they are just knocking off tricks for fun. Bergy made a hell of a showing on stage at this year’s contest, but it’s always great to see him just kicking back and working out ideas. The Scales Podcast is quickly shaping up to be a great resource for yoyo players to dig deeper into the intricacies of this glorious little subculture we’ve created for ourselves. Check out two new episodes! In episode 2 of the Scales Podcast, team members Andrew Bergen and Mark Mangarin interview one of the industry’s most intelligent minds in the realm of social media, team management, and design; Chris Mikulin! Some topics that are mentioned in this feature are future plans for Caribou Lodge, sub-brands of CLYW such as Heaven Sent and Pool Party, Basecamp, and more! For new players, sponsorship can be seen as one of the most daunting and confusing aspects of yo-yo. Scales team members Andrew Bergen and Mark Mangarin reflect upon their experiences as sponsored players, talk about what they feel as though the true definition of being sponsored is, as well as even give prime examples of great representatives of this generation. Give Episode 3 of the podcast a listen in order to enhance your perspective of what being sponsored really means! 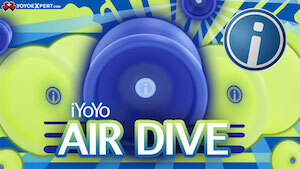 Thank you to our sponsors: YoYoExpert, Caribou Lodge, and Recess International! A new yoyo trick video featuring Andrew Bergen, using the Recess Vacation yoyo. If Andrew Bergen isn’t one of your favorite yoyo players, you’re doing it wrong. Yoyo used is the Recess Vacation (Andrew Bergen Edition). The Recess Vacation is finally available! This next-gen remake of the Weekend is a noticeable step forward in design for this young company, and to celebrate the initial launch we’ve got a new video from Recess featuring Keiran Cooper, Daniel Flaherty, CJ Atkinson, Tyler Severance, Andrew Bergen, Joe Wilson, and John Wolfe. Yoyo used is the Recess Vacation. We’ve got the 2016 Virginia State YoYo Contest results including the full scoring breakdown! Congratulations to Joe Wilson for his winning his third Virginia State Champion title! Andrew Bergen and Donald Hodgkinson took home the gold in the 1A and Open divisions, respectively. This contest was so lit with all that talent in the finals. Check out the rest of the winners and full scoring breakdowns below. 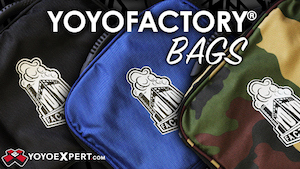 Videos are coming soon to the YoYoNews YouTube channel, so make sure you’re subscribed. It’s been great seeing Cabin Tutorials from Mark Mangarin, one of the most creative and unsung players around. Check out his latest, where he breaks down a branding combo from the equally fantastic Andrew Bergen. Yoyo used is the CLYW Orca.